Welcome to the Kitchen Conundrum series, where we make ourselves vulnerable to the dismay of baking mishaps, and explore ways to save your dignity through kitchen science. If teaching didn’t choose me first through my genes, I would probably be working in the field of food science. I knew none of this when I started baking three years ago. Through advice from seasoned bakers and researching the science behind it, I still make the same mistakes when I’m overly optimistic in the kitchen. At least there ways to prevent and fix the mishaps. Ever wanted to save time and buy the canned whipped cream? Whipped cream from a can foams up to twice the volume, but it is also less stable and will collapse. This is fine if you’re using it on the side of desserts, but a definitely no-no on top of cakes. Structurally, canned whipped cream is created differently. The gas from the pressurised can is dissolved into the liquid. When sprayed, bubbles are rapidly formed, foaming up the cream. Whipping cream is actually really quick and easy. Read on for tips and rescue remedies. One easy trick to avoid grainy whipped cream is stop the electric whisk when it gets close to being done. 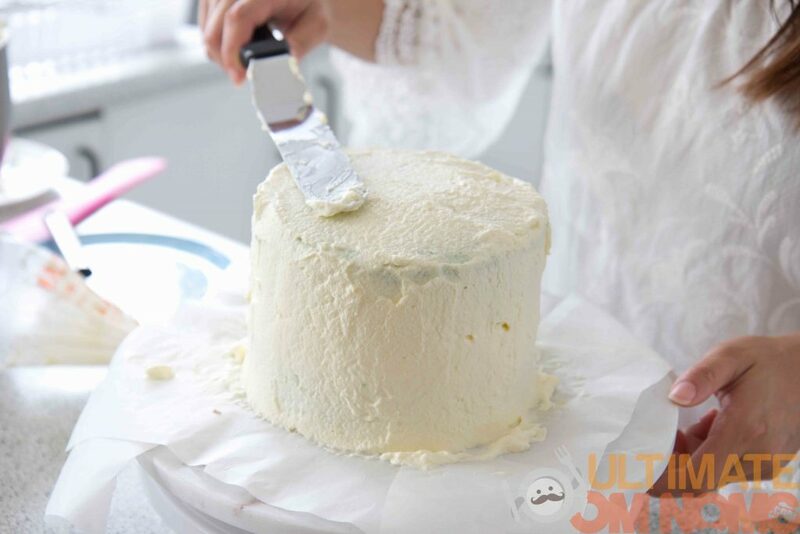 You will know this when the cream can almost form peaks and stay in its shape when you dip the whisk. 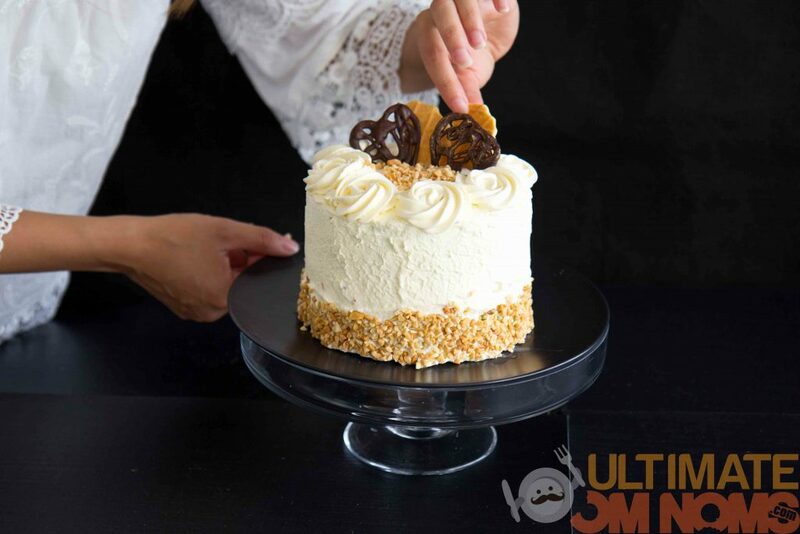 Keep whisking by hand until it is firm enough to be piped or spread on the cake. Mixing by hand will give you the advantage of slowing down and stopping more often. 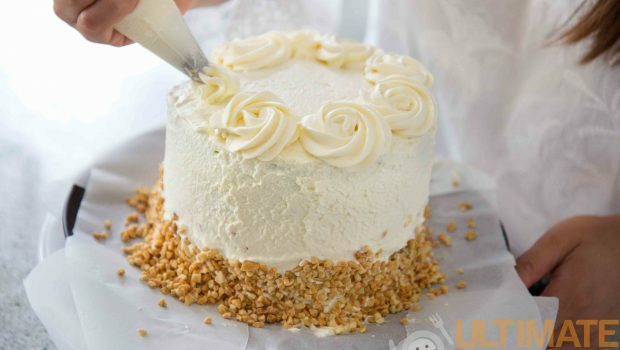 If it still goes past the ideal texture and starts going lumpy, try the tip #3 for whipped cream. Unlike egg whites which relies on protein and turn stiffer with continual whipping, cream relies on fat. During the whisking process, the fat membranes are broken. The fat globules can create an air-filled foam once enough fat globules align the area with air. Eventually with more whipping, the globules bind together with other globules to form butter. 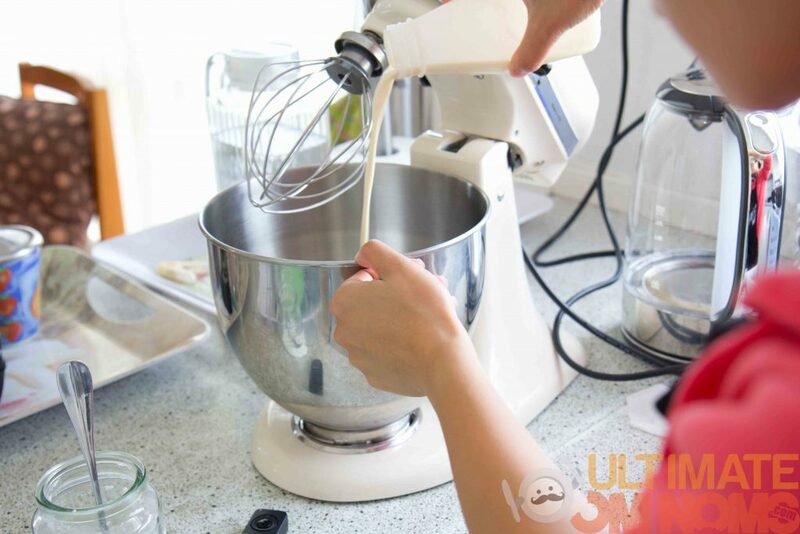 If you’re an optimistic multi-tasker like me and tend to walk away from the mixer when it’s doing its magic, you will have encountered grainy whipped cream. And if you’re even more zealous, you may even have made butter with it. 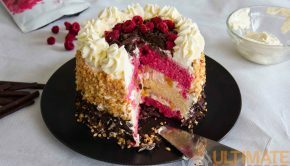 Instead of spreading that lumpy paste over your baking, the trick is to add a bit more of the liquid cream and gently whisk until the cream becomes smooth again. I would do this by hand to control it. In the past I have relied on the mixer and have beaten the shizzles out of it, turning it into butter. Still edible but not ideal to spread on a cake. 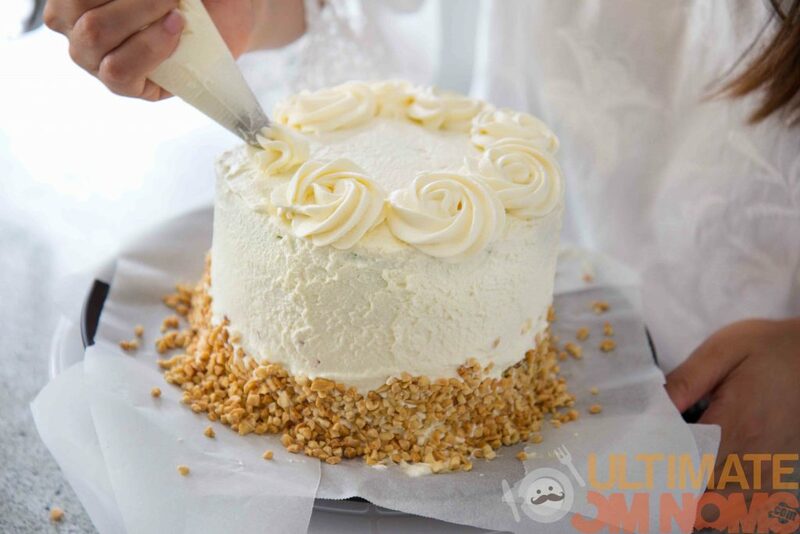 The catch is: you will need enough unwhipped cream for this trick. So instead of pouring the whole bottle of cream, leave a bit in the bottle for rescue purposes. 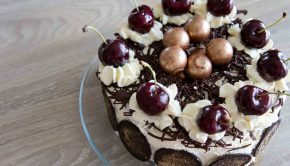 This is a beautiful trick if you are baking on a budget and have minimal kitchen equipment. Put the cream in a sealed box/jar and just shake. I have done this countless times at school. The trick is to listen and observe. Once the liquid stops sloshing around and starts clinging to the slides, you’re on the right track. Past this stage, if you keep shaking you still hear a lump being smashed against the box. This is butter, and you can’t turn it back into cream! Add some garlic salt to it and slather it on some bread instead. Another tip is to use a chilled bowl for whipping. 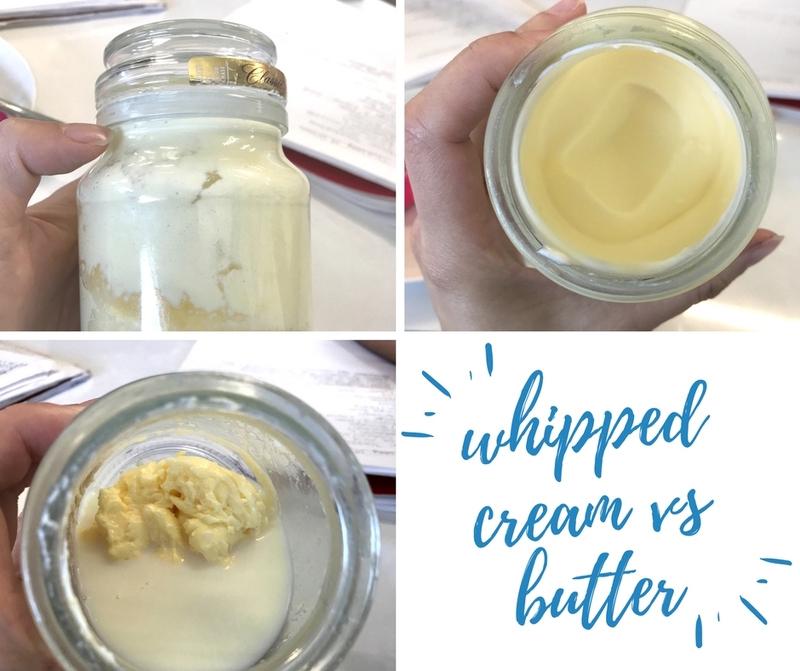 Fats provide the structure for whipped cream. When the temperature is too warm, the cream will melt. Hope this prevents and provides a remedy for cream disasters. To round off, here is my go-to formula for fluffy and lightly sweetened whipped cream. Recipe for chanchilly cream (sweetened whipped cream). My favourite for light sponges. Chill the bowl and beaters prior to whipping. 1 cup of whipped cream + 1tbsp icing sugar + 1 tsp vanilla extract. 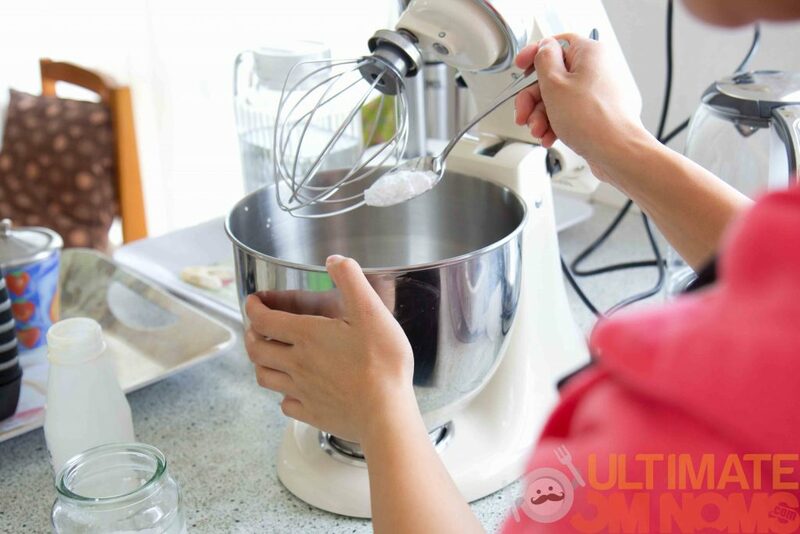 Use electric beaters until just before cream is stiff enough to hold. Finish off by hand to make sure overwhipping doesn’t happen.